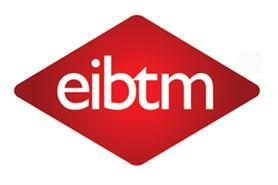 Conference organisers were urged to incorporate ROI into planning processes at an EIBTM seminar today. Elling Hamso, managing partner at the European Event ROI Institute, said too many planners failed to determine their objectives at an early stage and therefore could not properly demonstrate the value of their events afterwards. "It is not enough for delegates to think or feel something, they have to physically do something that creates value for their company," he said. "That is the only mechanism for creating value from meetings. It is very simple but it is often forgotten." Hamso said too many organisers sought to calculate ROI after an event, instead of incorporating the principles into the planning process. "The ROI methodology is first and foremost a planning tool," he added. "It is about how you plan a meeting to achieve the best possible ROI." Hamso suggested that any aspect of a conference that did not contribute to the primary objectives of either increasing sales or reducing costs by working more efficiently should be questioned.